The year 2018 turned out to be a very good year for our Catch Plugins family as many of our WordPress plugins crossed 10K active installs on the .org platform. The year 2019 also seems to be favoring us as our Essential Widgets plugin also crossed 10K active installs. 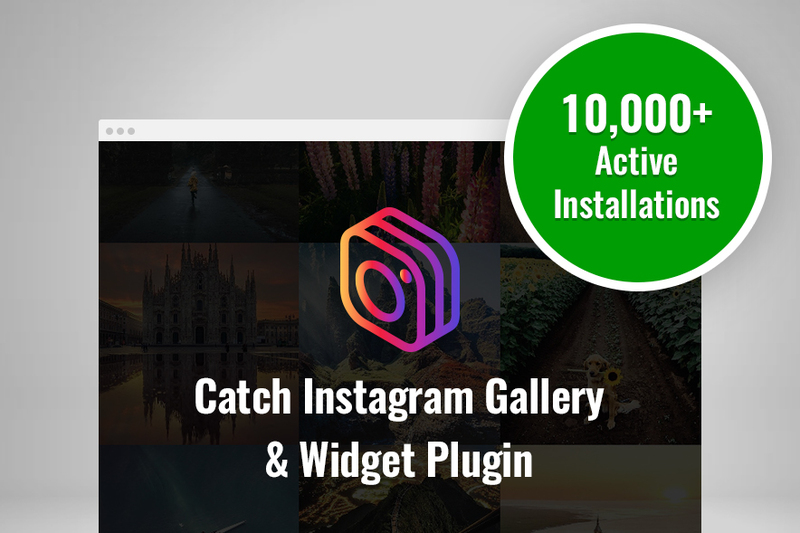 And continuing this, we are more than happy to announce today that our Catch Instagram Feed Gallery & Widget plugin has also crossed 10K active installs on WordPress.org. It is our sixth free WordPress plugin to hit the milestone of crossing 10K active installs on WordPress.org platform. To Top, Catch IDs, Essential Content Types, Catch Web Tools, and Essential Widgets are our other five free WordPress plugins to have crossed 10K Active Installs. We want to thank everyone for the amazing and never-ending love & support you guys have been showering us with. Click here to know more about our Catch Instagram Feed Gallery & Widget plugin. Visit our Catch Plugins Blog to learn more about this milestone. Next Next post: Job Vacancies at Catch Themes. We Are Hiring!